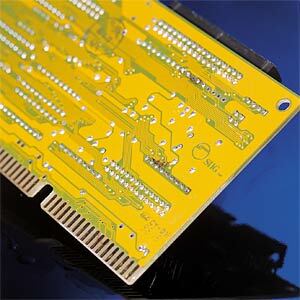 High-quality protective and insulating varnish for printed circuit boards. Quick drying, weatherproof, -40°C to 125°C. 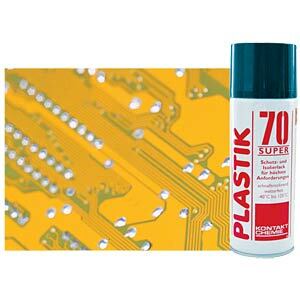 Plastic 70 Super meets the highest demands for protection and insulation in electronics engineering. 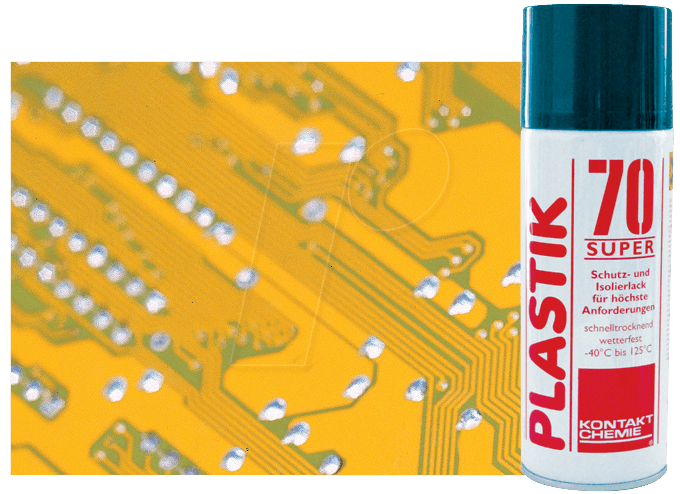 The novel acrylic resin varnish combines fast drying time with highest protection and insulation properties and has a wide temperature range of -40°C to + 125°C. 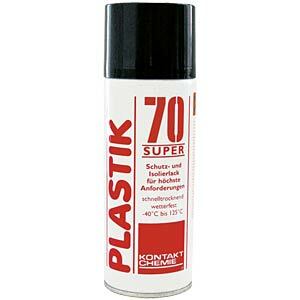 Plastic 70 Super is colourless, transparent and offers reliable long-term protection from dirt, moisture, aggressive vapours and changing weather conditions for printed circuit boards and electronic components. 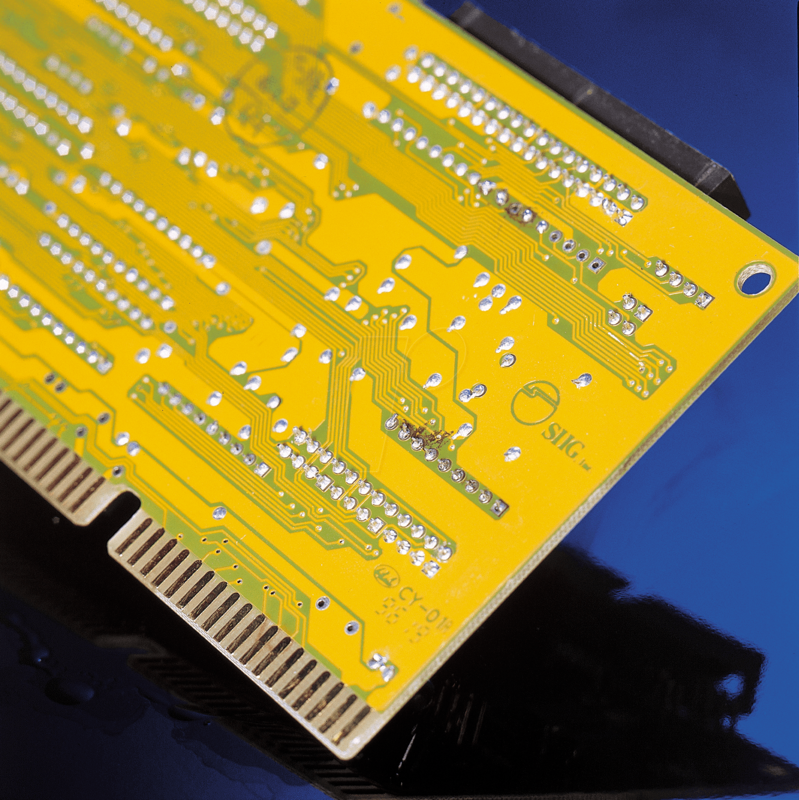 The varnish contains UV tracer, which allows complete coverage to be checked under UV light; this can be soldered through.